The white perch is a popular panfish throughout its range. These small members of the temperate bass family are known for their spring spawning runs, when they congregate in large numbers. 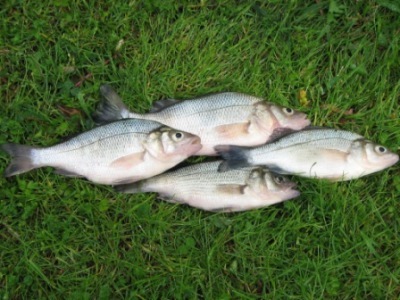 White perch are common in brackish rivers and creeks from the Hudson River to North Carolina. They are also found throughout the Great Lakes and in inland waters of Kansas, Kentucky, Massachusetts, Missouri, Nebraska, New Hampshire, and Ohio.